It looks like Saudi Arabia is dealing with a bit of internal turmoil at the moment, as the country’s crown prince has arrested princes and former ministers as part of an anti-corruption drive. While the story is still developing, as of now about 50 people have been arrested. Saudi Arabia’s heir to the throne is overseeing an unprecedented wave of arrests of dozens of the country’s most powerful princes, military officers, influential businessmen and government ministers. Some of them are potential rivals or critics of the crown prince, whose purported anti-corruption sweep sent shockwaves across the kingdom Sunday as he further consolidated power. The arrest of senior princes upends a longstanding tradition among the ruling Al Saud family to keep their disagreements private in an effort to show strength and unity in the face of Saudi Arabia’s many tribes and factions. It also sends a message that the crown prince has the full backing of his father, King Salman, to carry out sweeping anti-corruption reforms targeting senior royals and their business associates, who have long been seen as operating above the law. However, that’s not really travel related (at least not yet). What is interesting, however, is where these people are being “jailed.” Apparently the Ritz-Carlton Riyadh is being used as a jail for the arrested officials. 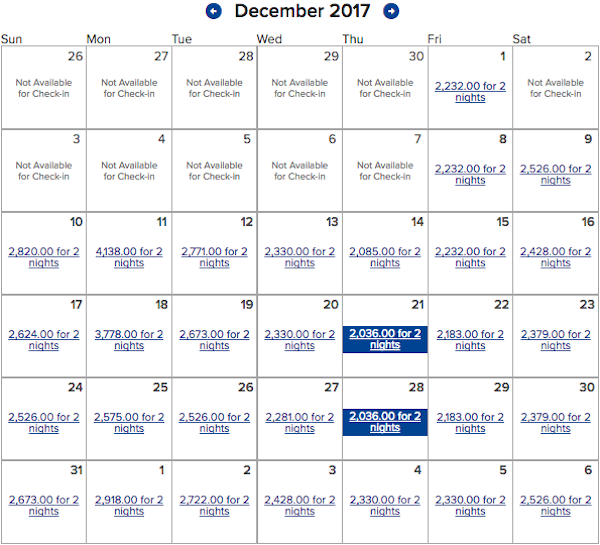 As of now the hotel has blocked out availability through December 1, 2017. One has to wonder if this situation would qualify for Marriott’s Ultimate Reservation Guarantee, where in the event that a hotel is unable to honor your reservation, they’ll book you at a nearby hotel, comp the stay, and Platinum members would even get 140,000 bonus Marriott Rewards points. 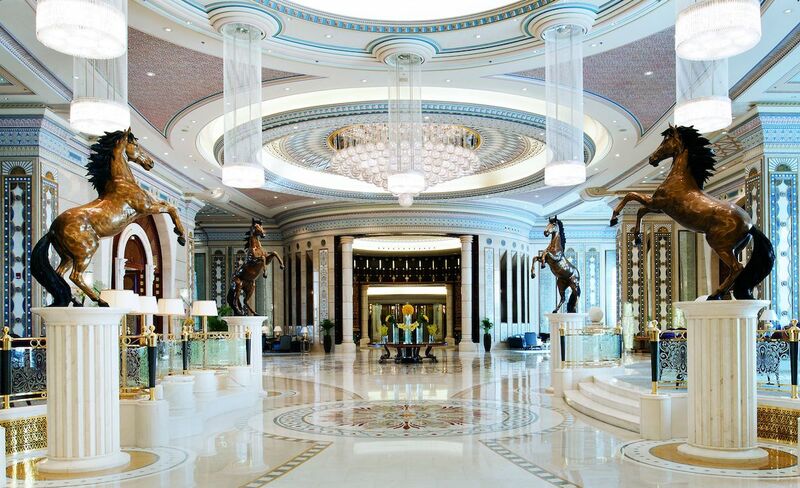 Here’s to hoping that the crown prince has negotiated earning points for all the rooms. Marriott Rewards members can only earn points for up to three rooms, though that assumes the guest and member is the one paying for the stay. Since I assume the crown prince isn’t staying at the hotel/jail (that would be awkward), he wouldn’t technically be eligible. Maybe he’s a good negotiator, though? Ben, real talk for a moment: when should you stop going to these messed up places in the Middle East? Aside from the only democracy there, all of these countries will happily arrest YOU for being who you are. Can you hear the screams from the gay torture victims from the first class lounge in Abu Dhabi? Or do you have to drive a couple minutes to be able to? @William Y. Who do you mean by the only democratie? ?that country that occupied others land? ?who denies entry for British/Europeans/US citizen on the basis of their Arab/Muslim decent??? Sorry but for the time being Lucky preffer flying Emirates/Watar/Etihad than being in a cofgin like F seats of El Al. Yay, let’s make uninformed and tasteless jokes about a serious situation with potential human rights consequences. LOL hotel points, amirite??!?! Ben’s travel is simply naive and reckless. Traveling in a premium cabin probably provides some buffer, and yes the tourism industry is mostly focused on profit over ideology but it only takes 1 wrong turn or 1 “by the book” official to end up becoming an example. Yea ha ha so funny. Let’s all make jokes about a guy seizing power and denying people access to their lawyers. Let’s make jokes about a guy who has launched a war with yemen where innocents are being slaughtered left and right. You clearly have no understanding of the region and flying first class into their airport hardly qualifies you as some sort of expert. Do yourself and everyone else a favor and just skip the articles about foreign policy or at least get educated about the region. If you actually really knew about the region and history I doubt you would ever have considered setting foot in saudi arabia. I just need a Real Housevives gif to make everything better. It’s been far too long. The last paragraph made my jaw drop with its insensitivity. Only a white man could blabber like that. um, Lucky . . . The idiot continues his shallow idiocy. To all you PC chest thumpers out there. Take some Xanax. This is a travel blog and nothing more than that. If I want to listen to political commentators I can tine in to Fox, CNN, PBS etc. You @@@@ don’t need to make everything so damm political! And if I am not mistaken that last paragraph is what some would call satire. By the way there are LOTS of other countries out there who are homophobic and who engage in human rights violations including the US. (1) Crown Prince Mohammed bin Salman of Saudi Arabia. (2) I stand by my statement that he’s one of history’s most significant figures. (3) In Saudi Arabia he’s called MbS, so that’s what I’ll call him. (4) MbS is not explicable. He began attending cabinet meetings at the age of twelve. (5) By his late teens, he was future King Salman’s personal adviser. MbS has a master’s degree in business. (6) When King Salman was Saudi Arabia’s defense minister, MbS advised him. The Saudis began a long-term plan for Syria that is stunning. (8) The people you arm and train turn against you. We’ve made that mistake too many times to count. (9) The Saudis PRETENDED to arm Syrian rebels, but the videos show that it was all a ruse. (10) Every BGM-71 TOW missile launcher in Syria is missing the thermal sight. (11) Without a thermal sight, it’s very hard to use the weapon in dusty, smoky, foggy, or rainy conditions. (12) What the Saudis and their allies did was attach commandos to the rebel units. The commandos fired the REAL missiles. (13) Over a period of several years, the Saudis and their allies “hollowed out” the jihadist rebel groups until they existed in name only. (14) At the same time, commandos were attached to secular rebels, fighting as members of those groups. (15) The jihadists ceased to exist, while the secular groups got the credit for victories. (16) Assad at this point no longer has an army. He relies on mercenary warlords. They have no military skills. (17) Every single skilled Iranian and Hezbollah commander was killed. As a result, nobody on Assad’s side can fight. (19) Russia bombed everyone EXCEPT the Islamic State. The goal was to make the Islamic State such a threat that everyone would choose Assad. (20) Well, SOMEBODY carried out multiple commando raids on the Russians, destroying their aircraft and killing their leaders. (21) The commander of the Russian advisory force was killed a month ago. (22) But what’s happened is that the Saudis avoided every possible pitfall in Syria. There will be no massacres and no insurgency. (23) It took six years, but the Saudis are patient. (24) MbS is fighting at LEAST four wars simultaneously, without putting undue strain on his country’s resources. (25) He’s also reforming the economy, society, and his country’s religion. Nobody has ever done so much at the same time. (26) AND he’s liberating and pacifying one of the most unstable regions on earth–but humanely. (27) We trained the Iraqis for eight years. (28) The Saudis transformed the Iraqi armed forces into exceptional fighters in about a year. (29) MbS is PROBABLY the father of the Second Revolution in Military Affairs. (30) This is the creation of strategic special forces: unconventional warriors who can win conflicts by themselves. (33) Extremely advanced technology and massive firepower. The days of enormous lumbering armies are over. (34) We now have “combined arms micro teams” that can function separately or in concert, depending on the mission. (35) They’re essentially autonomous. Each soldier appears on a digital map, so all the micro teams can see each other. (36) The training allows the micro teams to know when to come together and when to separate. (37) MbS is a strategic genius far more innovative than Sun Tzu or Clausewitz. (38) What MbS lacks is an ego that demands public accolades. (39) As a result, the Saudis can fight entire wars in secrecy and then give the credit to others. (40) MbS always sees the big picture. He’s never stumped. He always has an answer. No task is too daunting for him. He always wins. I think the LGBT population are treated much worse in Russia than Saudi. Ben, please ban people that bring up politics on a travel blog. Chill out peeps. Did you really come here expecting to get hard news??? Because that’s what this site is always known for – right? This is a travel blog and nothing more. You get updates on the travel side of newsworthy items. Let Ben be Ben and go read another site if you want politics. Hope they saved some rooms for Donny and his merry band of grifters. Do convicts get points or bonus reward points? Why are you even here reading this blog in the first place? Your comments stink of jealousy and envy shrowded in your attempt to appear on the high road. Note the marketing on Ritz-Carlton’s web site for this hotel: “A RETREAT FOR THOSE WHO SIMPLY DESIRE THE ROYAL TREATMENT.” Indeed. ‘I think the LGBT population are treated much worse in Russia than re is no LBGT population in Russia or Saudi Arabia. Take me to jail… I would love to live there. The self-rightousness of some of these comments is almost as satisfying as the virgins being served up at the Club Level lounge this week. Lighten up, all of you! As one who is living in the Middle East’s only democracy, where anyone can visit unless they are coming for ulterior motives, I see the question posed as a fascinating one: Can Marriott / Ritz be held to their own rules when they have chosen to operate in a totalitarian government? I am saddened by the opinions formulated by people who are not on site in any of these places. Have you lived in Russia? In Saudi Arabia? I lived in Russia for many years at different times. 2. This LBGT story is a joke used by people to weaken Russia. Plenty of such people around at the moment. “Well travelled” used to be used as an expression to refer to people who had experienced different cultures, religions and lifestyles and had subsequently formed a wide open-minded and tolerant outlook to life. Is “well-travelled” now to be interpreted as the person who simply skips in and out of the premium cabin without any more knowledge of the countries that they are travelling to beyond the IFE flight map and Brut champagne? The whole “you’re criticizing because you are jealous and envious” argument has got to be the weakest one ever. I was born and lived all my life in Moscow. There is indeed a huge number of internal oppression in Russia atm, gay people being one of the targets for it. There is even a criminal charge for “gay propaganda”, which is never properly defined and, as you can imagine, is interpreted as wide as it gets. People get jailed for likes and reposts on social media and stuff like that. Starting from November 1st Russia can legally block all VPN services they want (the execution is questionable, but still). And don’t even get me started on political freedom and freedom of speech. So don’t believe that countries like Russia, Saudi Arabia and other ones which step all over the human rights are okay. They are not, and Russia is a particularly terrible place to live at. I think the comments have gotten a bit off-track. I find it mildly amusing that normal criminals go to jail, while the royals/business people caught up in this purge get put up in the ritz. I think this is the point. There’s a much larger debate that Lucky’s already spoken to about travelling to countries that do not exhibit tolerance as a virtue. There are strong feelings on both sides of this question. Personally, I think it’s good for travelers to make an honest assessment of their safety in different countries, while at the same time, it’s important to remember that travel broadens the horizons of both those that travel and those that receive them. I believe that this report is simply another indicator why we, as consumers, have the right to avoid and not travel to certain destinations. And we can definitely help a (destructive) situation/destination by not supporting it…. Lucky should be okay if he minds his manners in the ME. Obviously, any PDA and all bets are off. Like the situation in Turkey, it’s political comments in support of the wrong leaders that will get you Hanoi Hilton-type treatment the fastest. Game of Thrones is great entertainment on pay TV, but not as much fun in the real world. I think it’s hilarous how some here judge Ben for traveling to the Middle East, while offering some moral argument for the superiority of western democracy. Every atrocity committed by the oil rich countries in the Middle East has been allowed, propped up and allowed by the US and her allies. It’s just the reality of the world. Accept it. – An American defense contractor. Ben is taking the high road and keeping quiet. The rest of you should realize this blog is what Ben means it to be. It’s not up to the readers to change its intent or turn up the gas on statements meant to heat a pot that does not belong on this particular stove.